How Often Should I Visit the Gahanna Dentist? Visiting the dentist is not likely your favorite activity, but it’s necessary. 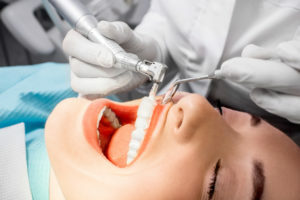 Actually, preventive dental checkups are essential to keep your smile healthy and avoid those more advanced treatments that give dental visits a bad reputation. In fact, the best way to avoid needing these advanced and potentially uncomfortable dental treatments is to visit your dentist more often. That’s why the American Dental Association encourages patients to visit their dentists at least two times each year. These regular preventive dentistry appointments give your dental care team the opportunity to examine your smile for signs of tooth decay, gum disease, and other oral health concerns and partner with you to prevent advanced dental health issues. Comments Off on How Often Should I Visit the Gahanna Dentist?